PBGS: Tickets now available for PBGS 'Patience'! Tickets now available for PBGS 'Patience'! 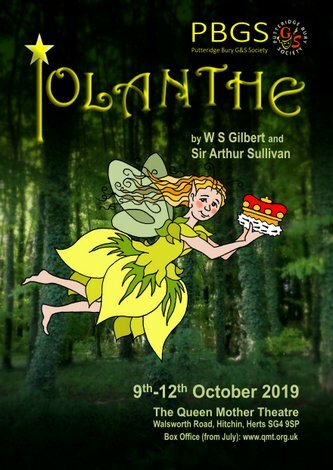 Patience tickets are now available from PBGS members (either by directly contacting those you know or by ringing 07946 264886) or from the Queen Mother Theatre Box Office: 01462 455166 from 12.30-1.30pm Mondays to Saturdays and 8.00-9.30pm Mondays to Thursdays. You an also buy them on-line from the Theatre. If you would like a booking form follow this link to a printable PDF: booking form. Tickets for the show are already selling well so don't dally! 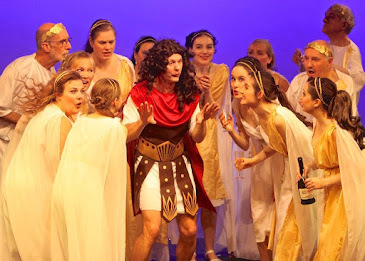 Regular supporters will know that our productions are always sung to a very high standard with outstanding soloists and chorus (our Act 1 finale 'O list while we...' really raises the roof!). We are also presenting an extremely funny production which will be enjoyed by everyone. When Gilbert and Sullivan wrote Patience they were making fun of the Aesthetic movement of the 1870s and 1880s, led by Oscar Wilde. Although this is a traditional production (but with some little twists!) it is easy to see that fads, fashions, and 'going with the crowd' never changes and Gilbert pokes fun at the absurdity of it all. Oscar Wilde really set the Aesthetic movement on fire when he 'arrived from Oxford clutching his sacred lily, enthusing about blue and white china and the paintings of the Pre-Raphaelites and describing Henry Irving's legs as "distinctly precious" ' (the Annotated Gilbert and Sullivan, Penguin, 1984). All of this will be familiar to Patience fans where Bunthorne, the 'Aesthetic Sham', pretends to be a poet because he wants to be popular and lure the ladies. He extols the fact that he is 'such a judge of blue-and-white and other kinds of pottery' and then descends to bathos by putting himself up in a raffle. His bubble of popularity bursts when another Aesthetic poet turns up who is even worse at poetry than he is. 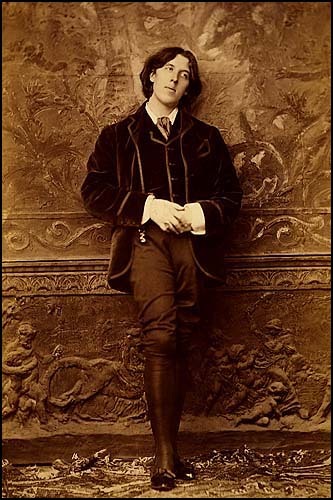 Oscar Wilde proved to be a good sport in all of this. It increased his fame and, when Patience opened in the United States, the ever resourceful D'Oyly Carte (never one to miss a trick) sent Wilde over there on a lecture tour to be 'a sandwich board for Patience'. He lectured in every city that Patience opened in wearing a suit of 'black velvet and knee breeches'. 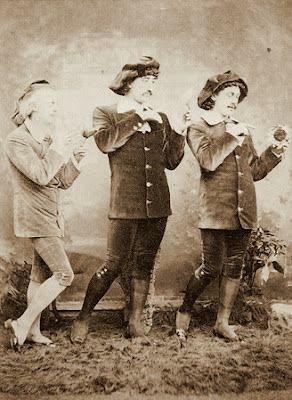 As the Annotated Gilbert and Sullivan points out, American audiences on seeing him and then Bunthorne must have wondered just exactly who was imitating who!